Last time I went to the Farmer’s market, I purchased several pounds of tomatoes, and they were yummy!!!! But after a while, I really got tired of my tomato sandwiches, and my tomato salads so I thought of fixing a soup. It is so light and refreshing, and can be eaten cold or warm which is much appreciative in this heat! 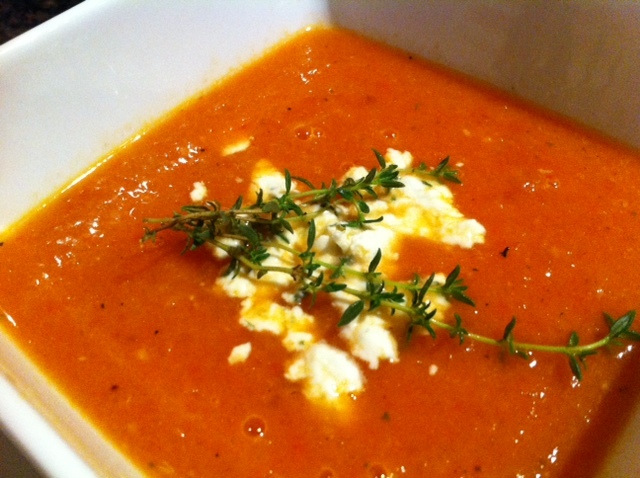 Tomato soups are really easy to fix because they don’t require much ingredients. 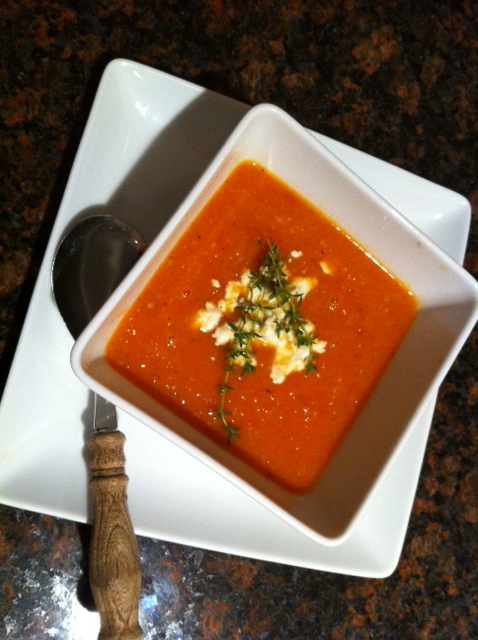 Tomatoes have so much aroma as they are, that the soup necessitates very few other ingredients. Ingredients: 2 lbs of tomatoes, 1 medium sized onion chopped, 2 cups of chicken broth, 2 tsp of fresh thyme, boursin cheese, 1/2 tsp of salt, 1 Tbsp of sugar, pepper to taste, and olive oil.